The Lord has really put this on my heart to pray and intercede for young men. The young men that think they are too cool for church. It’s not news that there are far more women in the church than there are men. There’s nothing wrong with there being so much women in the church praise God for that,but I really believe that we must pray for our young men to come back home to The Lord. The men whose hearts are on fire for The Lord. We must pray and intercede for lukewarm Christians for there are many and this is by no means a good thing. The Lord said He will spit such people out of His mouth! Yeah it’s that real for those that know the gospel but refuse to walk and abide within it, Is it really worth missing out on eternity in heaven for temporary pleasure on earth which leads to hell?! Pray and intercede for those that desire to have a relationship with Christ but do not know how. For those that desire to know Christ you must give Him your time. So like every relationship there must be communication. You must talk to Christ. He talks all times and not just through your pastor. You’ll begin to discover that Jesus Christ speaks at all times when you seek His face and spend time within His Word. It’s not everyday that you will be spoon fed. He has given you His Word. You said you desire to know Him. Then use what He has given you. Lastly we must pray for preachers and gospel artists. We must pray and intercede for gospel artists and preachers that water down or feel the need to water down the gospel, in order to reach the mainstream, the unsaved. We must be reminded that it is only God that can convict and save, we are just His vessels in which He uses. We don’t need to try to fit in, we do not need to try to be like the world. We are imitators of Christ and not of the world. We live Christ, we teach Christ, and when people see us if we proclaim to be followers of Christ then people must see Christ. We are unashamed therefore there is no need to try to hide His light. He said it clearly in His Word that I cannot serve Him and the world. I cannot serve Him and satan. I will either choose one over the other. It’s time to make up our minds children of God who exactly do we want to serve? The church must not water down the gospel in order to please the congregation. His Word is more than inspirational teaching. His Word is more than a feel good message. A minister of the gospel should minister truth, and truth convicts. He says come as you are but His truth convicts us so much so that we can never stay the way we are. Are you hearing the gospel of truth or the gospel of lies? If the gospel convicts then that’s truth. If the gospel makes you feel comfortable then that’s lies. When we come to Christ our lives will never be the same. His Word is revelation, and we can only encounter that revelation by His Spirit! Not by our might, not by our power but Bt His Spirit. His Spirit reveals to redeem. His Spirit gives us discernment, only by His Spirit will you be able to discern the fruits of the minister of the gospel. We say we are Christ like, but do we really understand what it means to be Christ like? Jesus Christ knew He was the Son of God, He did not need to pretend to be like the people of the towns He preached in, just to fit in. 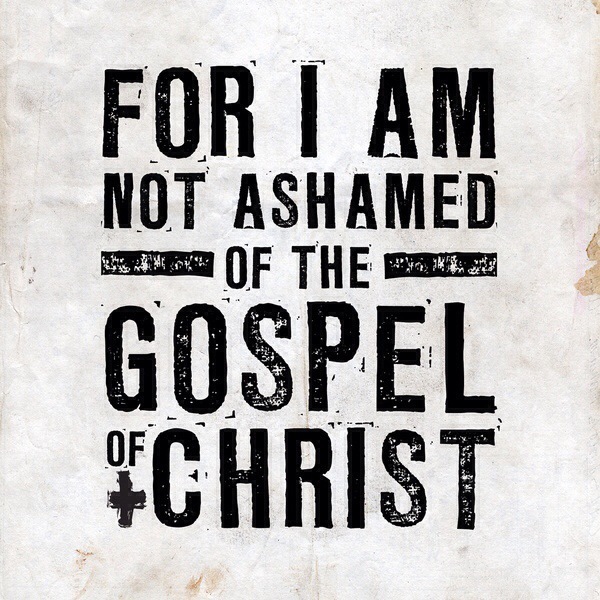 I am a new creation, unashamed, not condemned, set apart, not of this world. It is confusing for a minister of the gospel to say they are a Christian but they do not minister the gospel. So what are you ministering? Be careful, God is not a God of confusion. I live for God alone. I choose God over the world. I choose Truth no matter how often it rebukes in love, at least His truth transforms me more and more into His very likeness. Which is why the world is so afraid of Truth. His truth convicts, and His conviction brings transformation. The world would rather remain in the comfort of sin. The world would rather believe in the lie. So what difference then are we making as ministers of the gospel, if we are telling the world that we are just like them? No we are not just like them! We were once like the world, but we are no longer just like the world because Jesus Christ transformed us! What are we teaching this dying nation, children of God?! Yeah being prosperous is great, yes we have inherited the blessing of Abraham, but what about salvation? Prosperity alone is not going to get me into heaven. I leave the convicting and saving to God, I am but a vessel in which He uses therefore I do not need to try to be anything other than what He has called and created me to be. Pray for our ministers of the gospel. Pray that we imitate Christ and not the world. to be a minister of Christ Jesus to the Gentiles. He gave me the priestly duty of proclaiming the gospel of God, so that the Gentiles might become an offering acceptable to God, sanctified by the Holy Spirit. God has instructed us to bring back home the lost, so lets do that. Remember what The Lord has instructed us to do is no different from the 1st century church. far more watering down of His Word, and fewer men in the church. Truth must be revealed and Truth must prevail. The lost souls must be found, and we must bring them back home to our Father.